Gandhinagar : After staking claim to form the new government in Gujarat, the Bharatiya Janata Party (BJP) on Saturday announced that swearing-in will take place on December 26. "The new government will be sworn in on December 26 at 11.00 a.m at the Gandhinagar Sachivalaya grounds," state BJP chief Jitu Vaghani told reporters. According to Vaghani, Prime Minister Narendra Modi, national BJP chief Amit Shah, chief ministers of 18 BJP-ruled states and central ministers will attend the swearing-in ceremony. 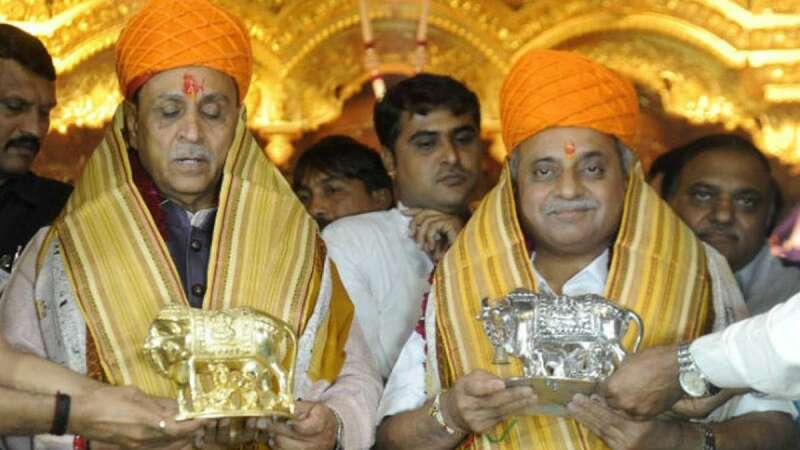 The party has already declared that Chief Minister Vijay Rupani and Deputy Chief Minister Nitin Patel would be retained in their present roles. Earlier in the day, a delegation, comprising Vaghani and senior BJP leader Bhupendrasinh Chudasama, among others, called on Governor O.P. Kohli with a letter to stake claim to form the government. Meanwhile, hectic lobbying has begun by the newly-elected legislators to secure a ministerial berth in the new government. With seven ministers in the previous government losing their seats, besides 27 sitting legislators, the new Rupani government is likely to see many new faces. Party sources said with Chief Minister himself coming from Saurashtra region and his deputy from north Gujarat, the BJP leadership could consider rewarding the legislators from central and south Gujarat who helped the party form the government for a sixth time in a row.